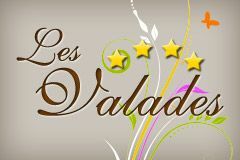 Let us tell you our favorite for Les Valades! In 2011, we decided to embark on a joint professional project. Redeeming a campsite quickly became the activity bringing together our skills and our desires. Me, Jean-Charles, I had already operated for 10 years a campsite in Montignac and I, Laurence, I was a tourism project manager for 13 years. We actively started our research and visits. The first campsite we visited is Les Valades. It is in August 2011 on a hot day that we arrived at Les Valades located in the village of Coux and Bigaroque, hitherto unknown to us, yet both born in the Dordogne ! On arrival at the car park, we can’t say that we had the effect “whaou” …. but that didn’t discourage us and we then started our visit of the campsite. Quickly we approached a sinuous descent in the middle of so-called pitches of the “high” of the camp-site. Already we have been surprised by the large size of these pitches, their delimitation and their intimacy. Then a central island planted with umbrella pines before discovering a large plain with a totally unobstructed view of nature, the surrounding landscapes and the pond. And there was the effect “whaou”! We had never seen or imagined a campsite like this one. All around this space were wooden chalets all with terraces and views of the plain or the pond. But our visit didn’t stop there, after having crossed the central path leading to the pond, the last part of the camp-site offered to us. We discovered the last locations, the pools and the freshness of the pond. We were conquered! We bought our favorite in 2013. Since then we try every year to bring our personal touch while keeping the spirit of departure.